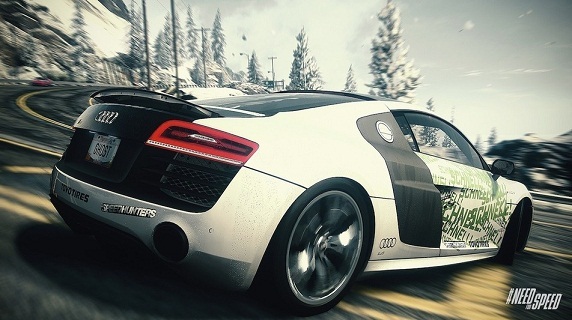 Need for Speed is the reboot of one of the leading franchises in the racing game genre. During many chapters, the game made famous by adopting the famous Drift - movement in which the car makes a curve escaping back. Check out how to perform the famous drifting move and become a skilled driver in the Need For Speed game. In the game, you must know how to perform the movement to do well on tests. Not only requiring maneuvers, but in most runs, since it accumulates reputation points and helps to increase their Nitro bar. To perform the movement it must first open enough time to make the turn. Then make a sudden movement to go round, while using the brake, forcing the car to escape from the rear. Then just control your vehicle so it does not turn or go back to a normal four-wheel drive. It may seem simple, but the movement is quite complex and requires a lot of training. Vehicles with a lot of speed and little precision when cornering are the most suitable for this kind of move. But it must dispense time to make the move, ie: if you drive in high gear in the corner you end up losing control. The same goes for the way you override it. Don’t turn the direction very aggressively as this could cause your car to run. In some tests, this error can cost you. Then you can just put your training into practice in specialized evidence Drift.